Three ounces, three settings, and three cubic centimeters. Three ounces, three settings, and three cubic centimeters. Trifecta of portable, comfortable, efficient lighting. Great gift for curious kids. I am a fan of the Petzl brand. They make things for climbing, and do a great job. I purchased this light after a cave trip in WY when everybody had a brighter light than my older version of Petzl with a very dated LED. I had no idea that efficient LED were now in the don't-have-to-sell-your-soul price range. This lamp hangs up beside my keys to find things in my garage, check for lost hot wheels under the couch, and hang in the tent as a "lantern." I have taken it up routes, where the bright light helps me find holds. The red light helps me during the middle of the night, when I don't want to wake up the kids but I need to change a diaper. It is easily adjustable around the head, the elastic does not loosen or deteriorate like a pair of my uncle's socks, and then there's the light part about this. The light is good enough for almost every application except subterrenean photojournalism. This light lasts forever, and the whole system can take significant abuse. Rain, children throwing, dropping, hitting, and looking under cars cannot stop this light. How often have I changed the batteries? Once or twice in two years. I want one for my car, my pack, and my house. But it's easy enough to take now from place to place, as it takes up no more room than the keys in my pocket. Two trips through a 6-hour cave, and I still didn't replace the batteries. I'd give 30 hours of continual use before replacing. Another must-have for Fast and light campers. Great light. Very long lasting. It was my only light source for 4 months of field work and it never went out. The light has a very wide beam which is great in most cases but it could be focused a little bit more for seeing down dark trails or longer distances. I have used the headlamp for about 100 hrs or so and have gone through 4-5 sets of batteries... hmmm 150= hrs what!! 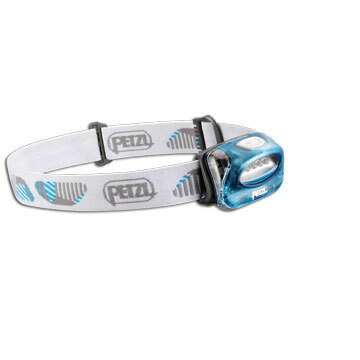 Well to be fair to Petzl I'm sure that the headlamp would produce light for 150 hrs just not sure how effective it would be. I like the 4 LED compared to the Tikka, but have NO need for the intensity control. The ability to leave batteries behind and have a consistent amount of light with an accurate battery read is invaluable. Recent models of this headlamp have been upgraded to have a lower profile and more balanced design. The price for the Core rechargeable battery addition to access its best features is a bit of a detraction. Regardless, it's a reliable, bright, lightweight headlamp and it's nice to have the option. The settings are also programmable, to keep track of the amount of light over the life of the battery for low and high beams. Beam focus is best suited for mid range distances. In my opinion this is the best headlamp ever made my human beings. It's small, will fit in a pocket easy, it's bright, it's tough. I bought 5 of them just in case this model gets discontinued. I am sill on number one. The Tikka Plus makes good use of batteries. It's also super bright on highest setting. The economy setting is a little dim for night hiking, I think. I find the four settings a little annoying at times, such as when I want to flash some light briefly, then turn the thing off: I end up cycling through all four settings, with the headache inducing strobe setting coming last and anything alive within 50 meters decidedly unamused. The headband does get a little sloppy after a while, but that can be fixed in a number of ways (needle and thread!). 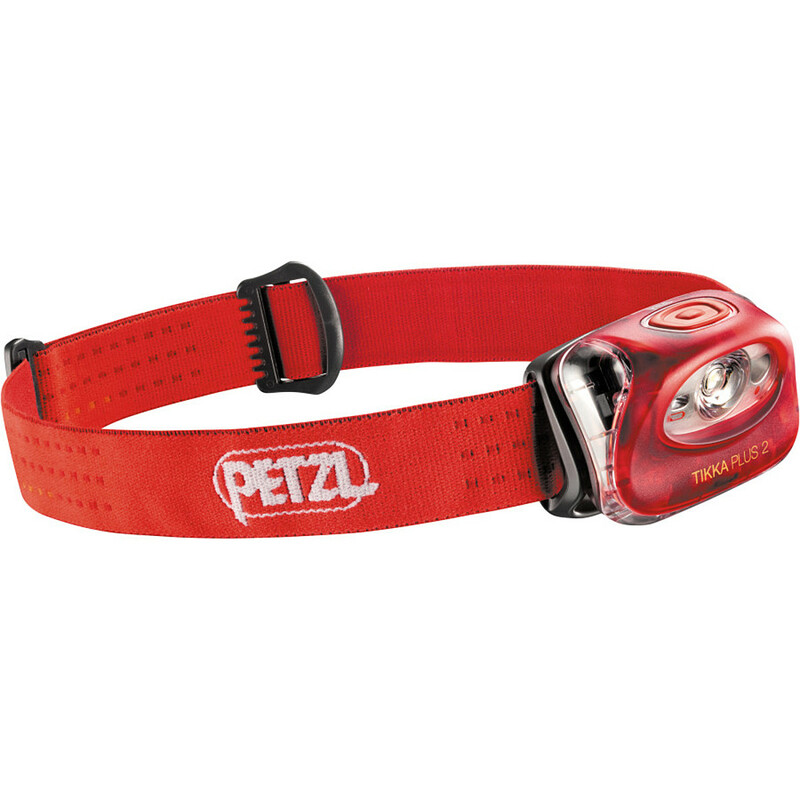 These gripes mentioned, it is a bright, lightweight, and long-lasting headlamp. Avoid the older model with a slider instead of a button-even thought this mitigates the cycling problem I mentioned above -- because it's a pain to get it into the right position. This headlamp is great. I bought it for alpine AM starts and it works great. Plenty of light. As it turns out I use it all the time for hands-free working around the house and I can't always find it because wife and kids use it all the time. It is easy to turn on, and clips onto my helmet quickly. It is very light weight. The tilting of the light is also nice. Only con is: changing batteries is somewhat of a pain. It's a fantastic headlamp for most general purposes. 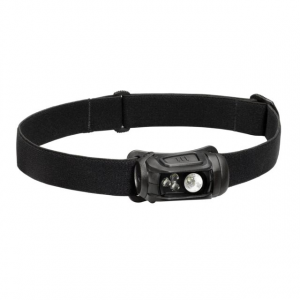 It's a fantastic headlamp for most general purposes. I was summitting Mt. Kilimanjaro and we started out on the Western Breach at about 11:30 at night. The moon was out, so it wasn't completely dark, but the headlamp worked great! I didn't have a problem seeing the trail or anything in front of me. 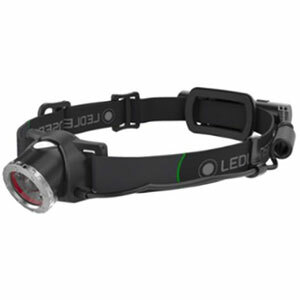 Of course with all LED lights, the illumination is great for a few yards around you, but then drops off considerably after a few yards, while the old school head lamps with light bulbs, kind of lit the area around you dimly, but for much longer distances... I guess it is a trade-off. I also found out that you can flip up the clear cover to change the light filter, if you buy the insert. So if you don't want your night vision suffering terribly, you can flip up the red filter and save yourself from seeing flashes after you turn your headlamp off. For regular trail running, this is really all you need. But for more technical stuff where it requires SERIOUS illumination, consider buying a more high end model. But this worked for me on Mt. Kili. I got this light two years ago and the light is great but the headband elastic totally disintegrated after only a year. I still use it, only the strap is so stretched out and worthless I just wear it around my neck like a necklace for camp chores. When I'm night hiking I just get frustrated with the strap falling off my forehead. I'm too cheap to buy a new one, but when I do it'll be a Princeton Tec, which is what I had before this one. The best little headlamp for the money out there. The best little headlamp for the money out there. Very bright. The tilt feature is awesome for working with your hands at night in camp. I even use it at home reading at night. A "GOT TO HAVE". I have had cheaper headlamps in the past, yet when buying this one I wanted one that wouldn't break on me and would hold up to some abuse. This product is lightweight while still giving off a decently bright light. I would suggest it to anyone. My brother has the same one and he loves his as well. The more expensive models tend to have wires leading to a battery pack in back, yet I have come to like the Tikka Plus method better, having the batteries upfront with no cords. This prevents the headlamp breaking due to severed wires. That is just a buying tip in general from me. Anyway, like the light, buy it. A great little light. Feels like a feather on your head, waterproof, and the three intensity level thing works great. Until the Tikka XP, this was my standard headlamp, despite its range issues (I simply carried a small 1W LED flashlight for trailfinding). Can't really recommend it today now that the XP is available though, pay the extra bucks for the XP and do away with the need to carry the flashlight, at the expense of a half-ounce extra weight. Very nice lantern, good intensity, like the three levels, helps save power. Doesn't light very far, though...I used it at night in the forest once, returning from a hike, and wished it had a longer reach. But for all-around camping or reading it is great! Someone mentioned the problem of it opening and the battery falling. I had this problem too, but I've figured out that it's actually a "human error". The bottom part has some inserts that can be left outisde the insertion holes, but it will still "close". It will then come open again at the least impact. If you make sure that the inserts are into their proper places, however, the Tikka closes like a clamshell, being actually hard to open it again. Yikes my eyes! This is one bright headlamp that is for sure. Great value if you don't have enough money for the XP. It never swivels and has a wide beam so you don't have to turn your head very offen. The three stages of light are great for around base camp or a night time hike. Has an easy to use switch and good variable brightness. Has an easy to use switch and good variable brightness. Not as bright as I expected though. Rocky ground looks pale and one-dimensional in the dark. I really like this headlamp. The features are nice and the switch works much better than the older style Tikka that I have. The only problem I have with this light is that it keeps coming open and one of the batteries always falls out onto the ground. That little battery is hard to find in the dark. This has happened to me many times and I cannot figure a fix. If anybody knows of a fix for this problem please let me know. Great functional light. Bright enough to hike with. Great functional light. Bright enough to hike with. Super compact. Very low battery weight. Ounce for ounce the best contender out there. For hiking it's all that--everything you need and nothing you don't. If you don't hike at night very often it's perfect. If you get stuck hiking in the dark it has plenty of light to hike by. Did I mention it's tiny. In the second lamp appeard a crack. The first was bought after the release so I thought it was a cunstruction fault, the second one was bought 2 years later. I hope carabiners are designed in the other department. The Tikka+ has been discontinued. 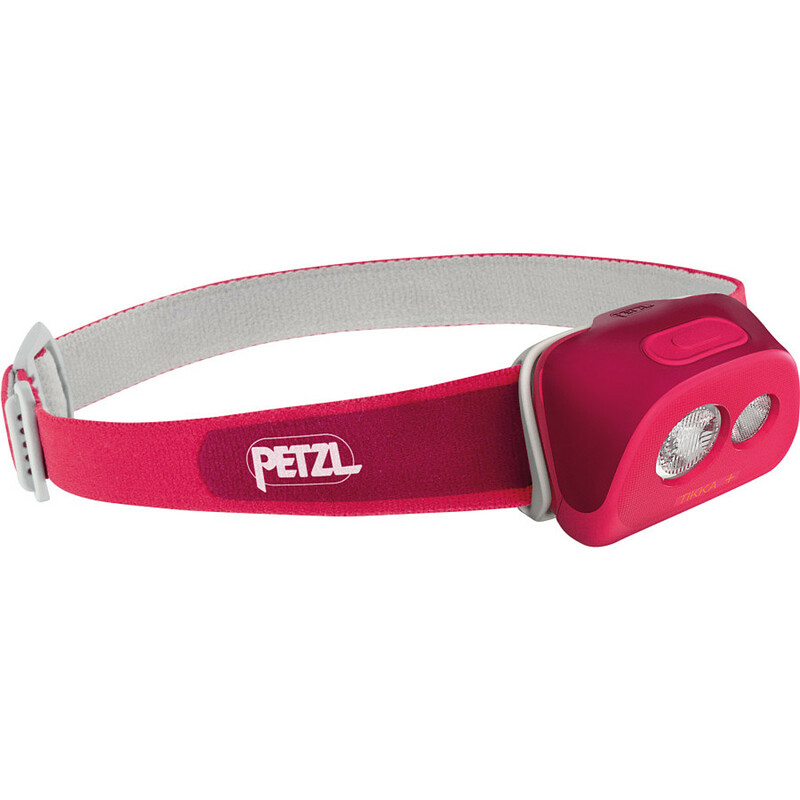 The Petzl Tikka+ is not available from the stores we monitor. It was last seen May 3, 2018	at SunnySports.